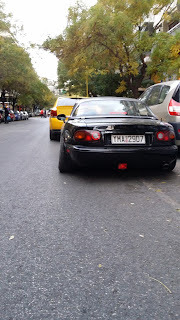 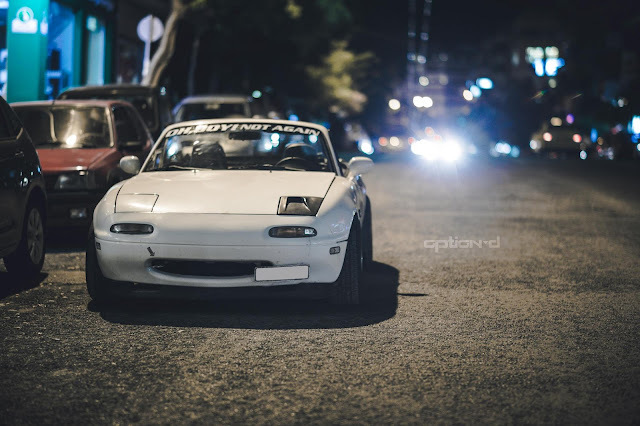 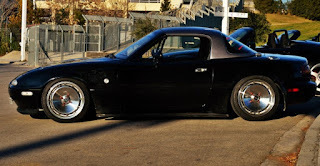 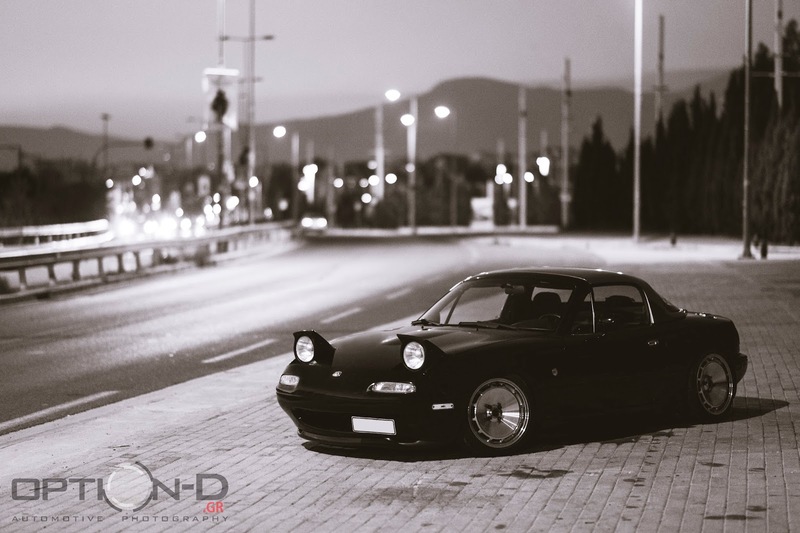 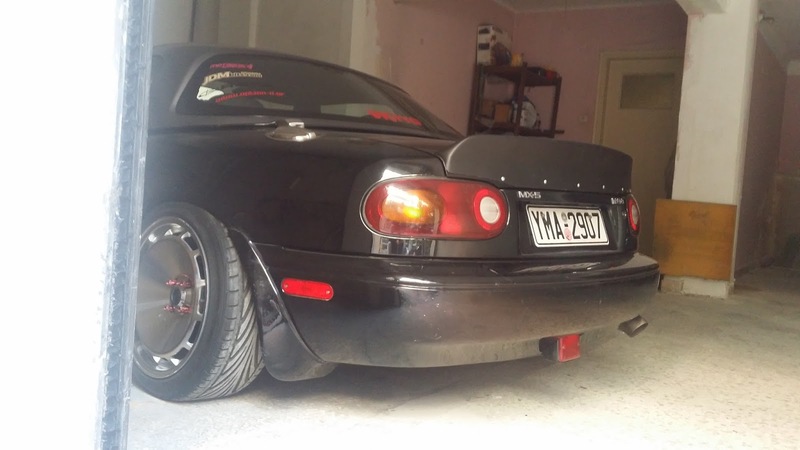 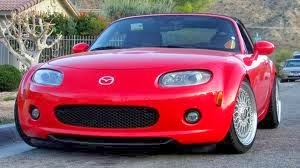 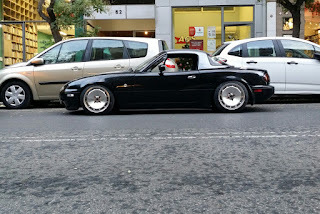 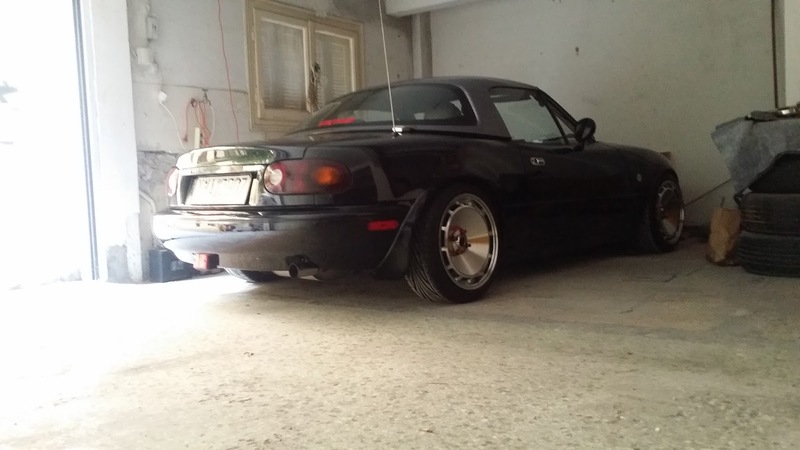 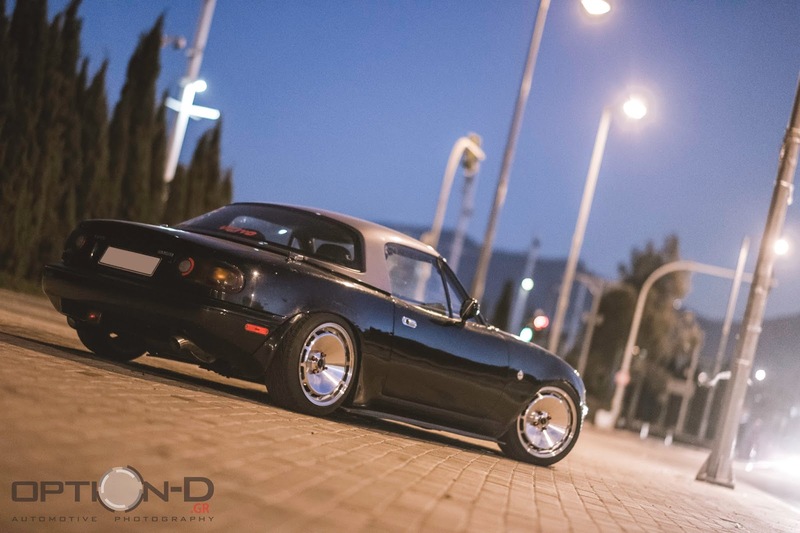 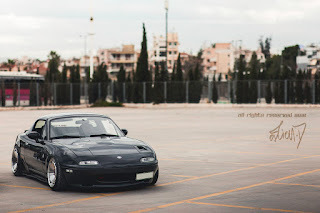 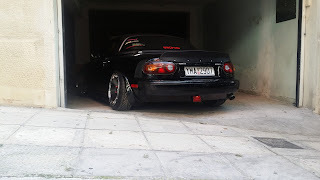 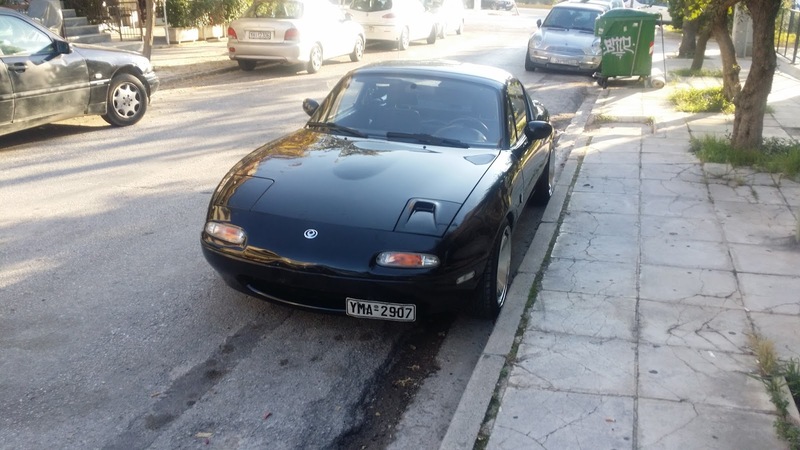 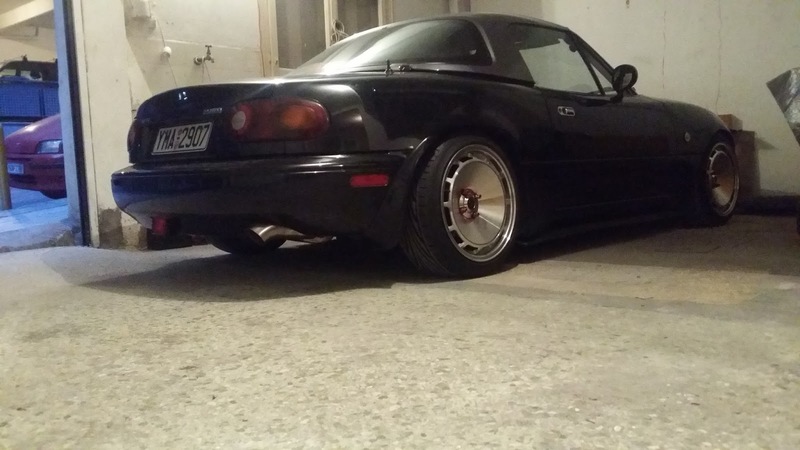 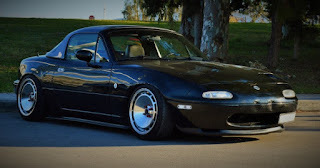 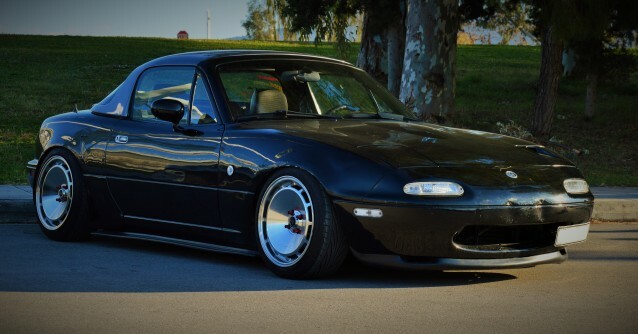 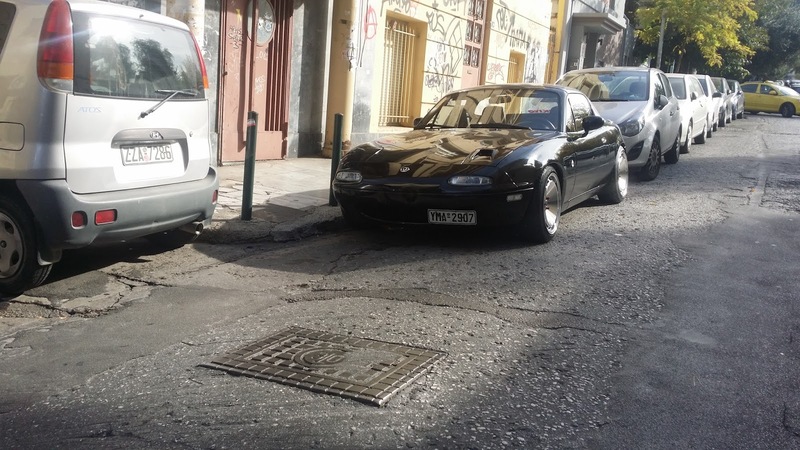 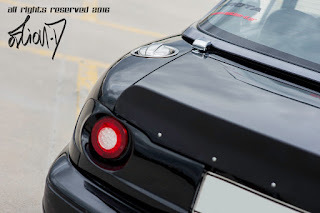 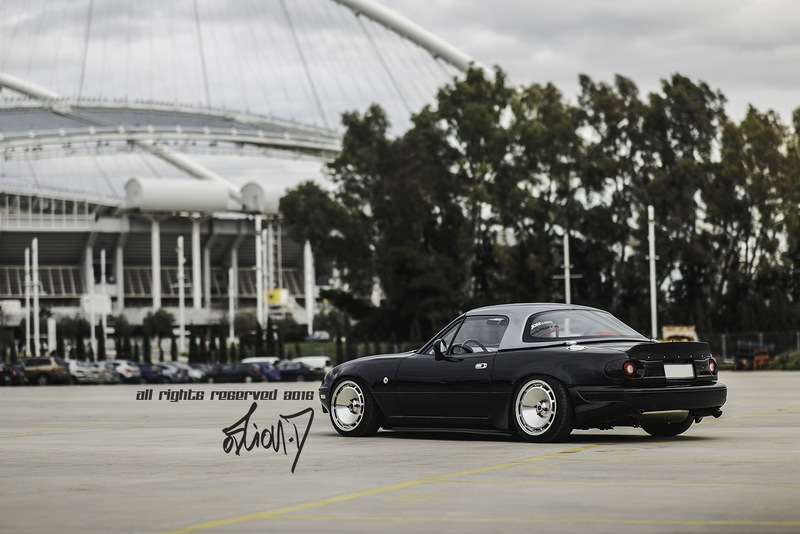 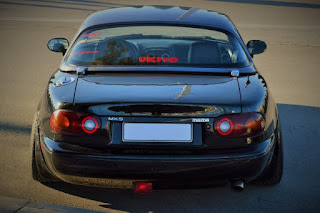 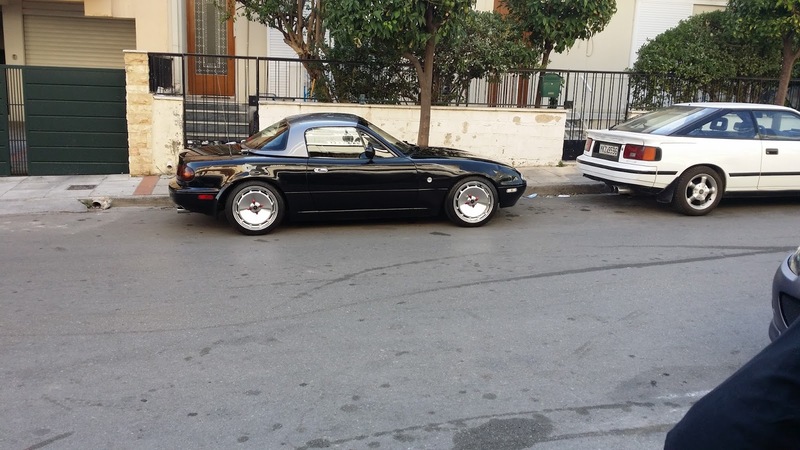 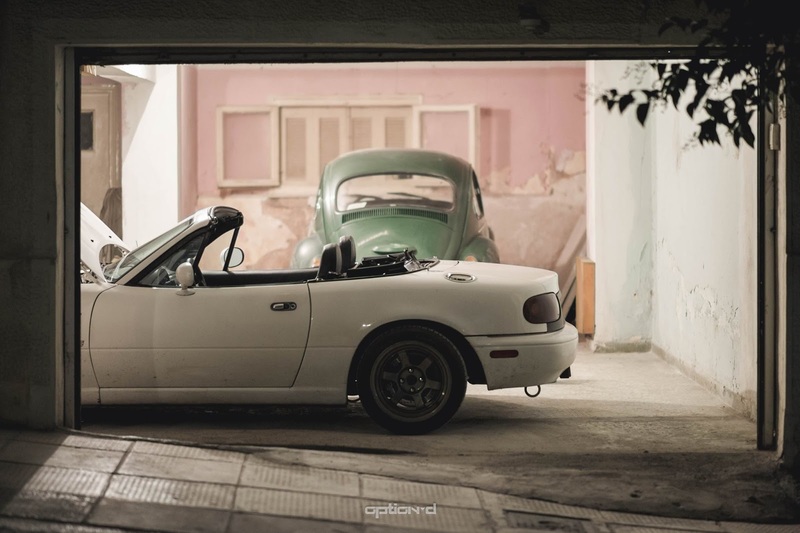 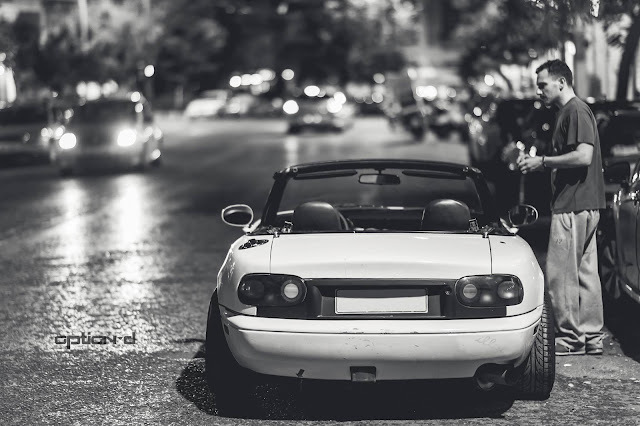 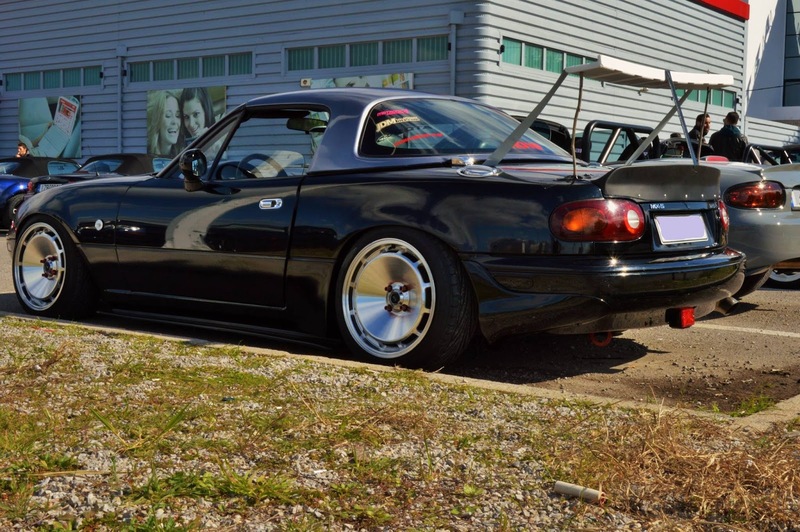 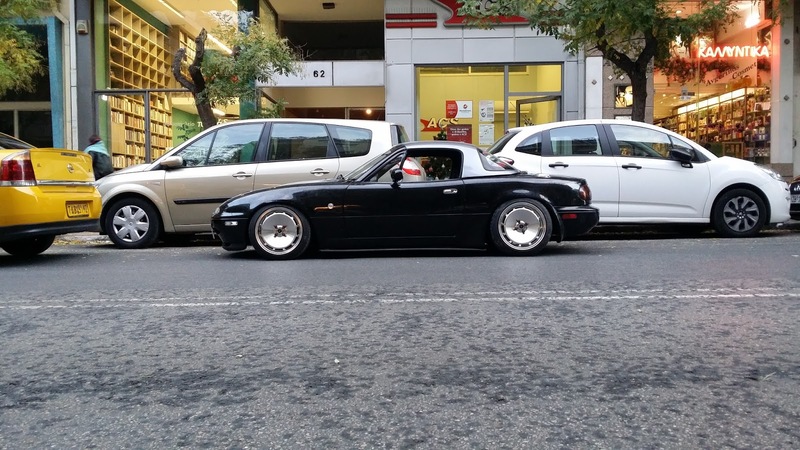 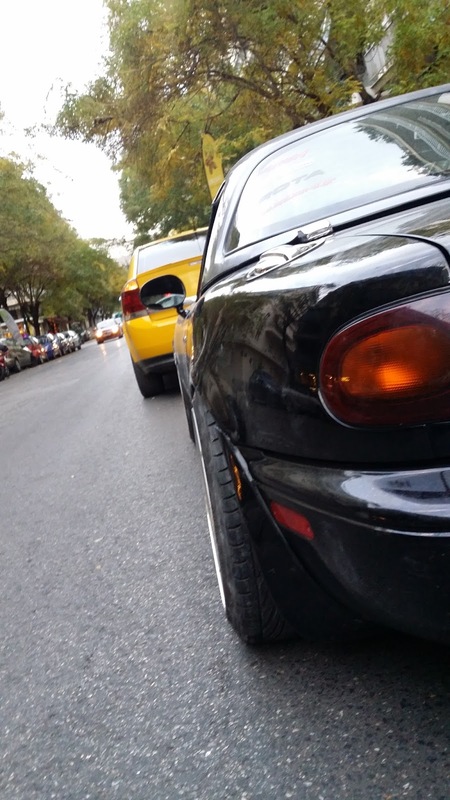 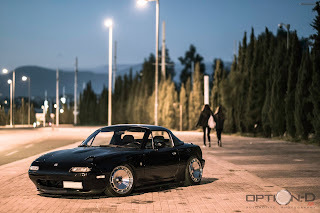 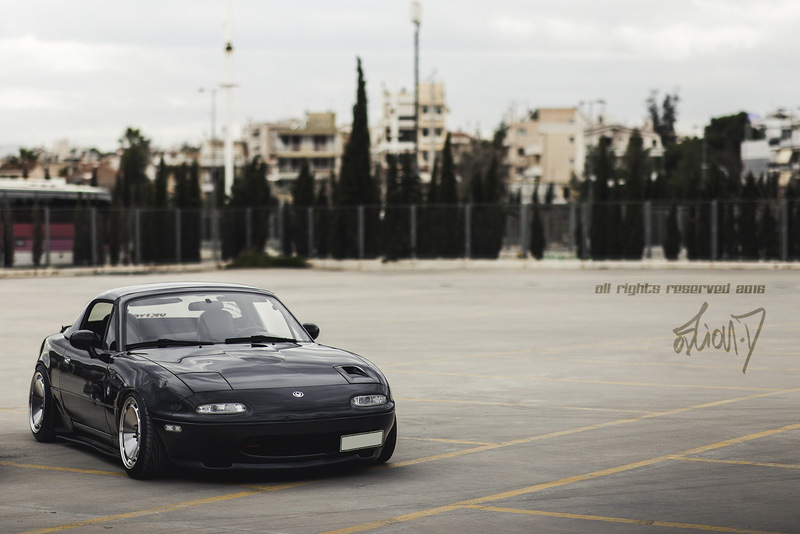 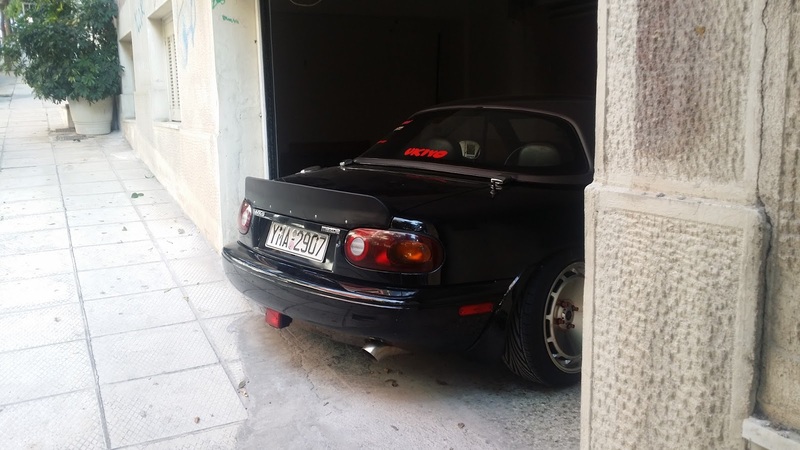 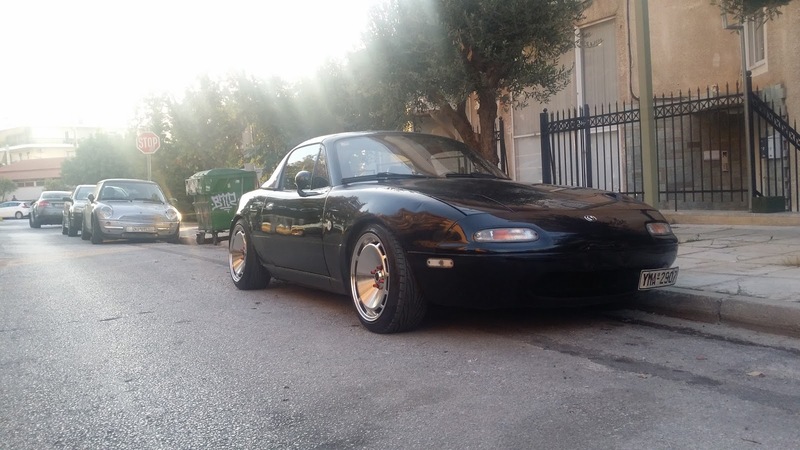 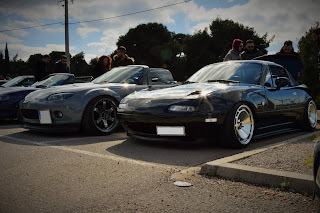 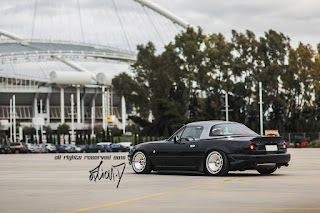 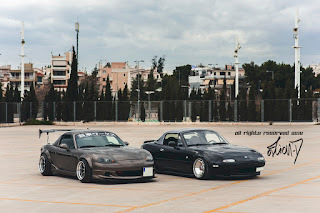 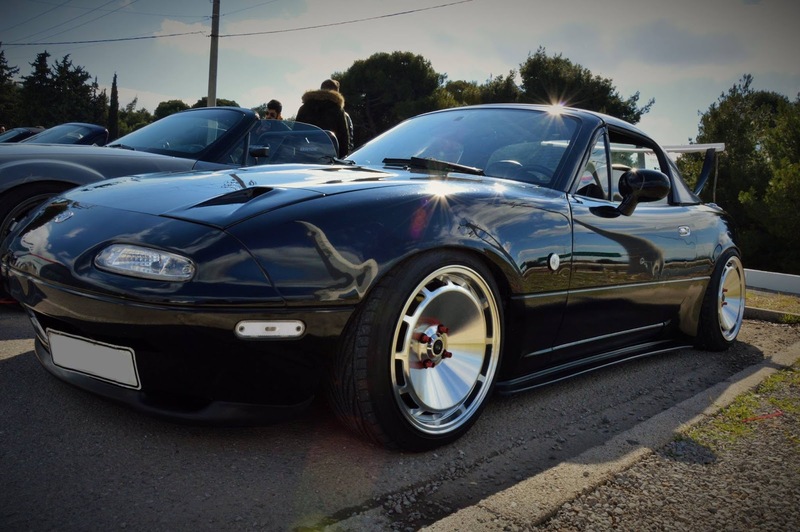 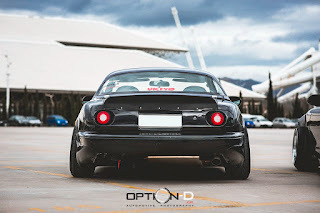 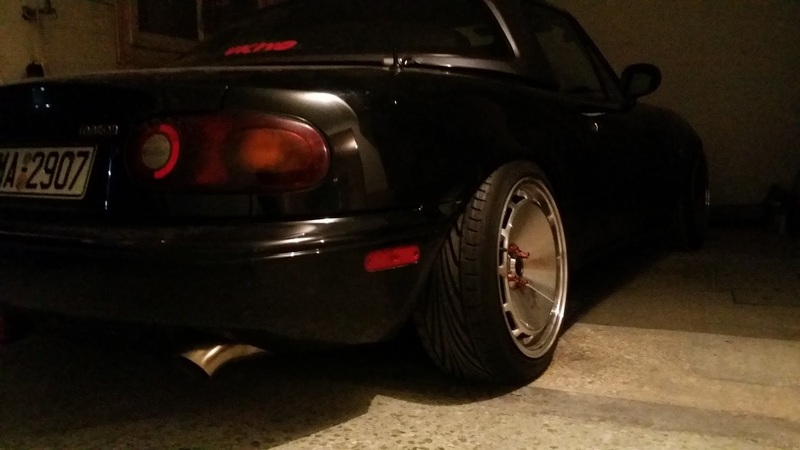 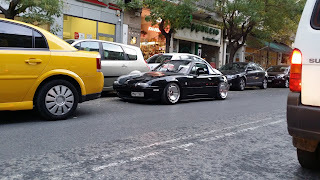 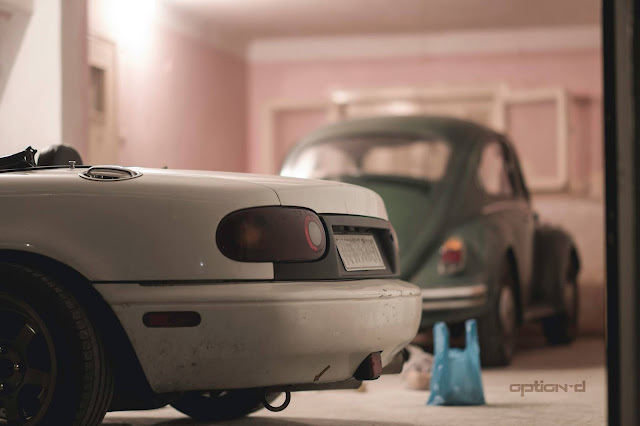 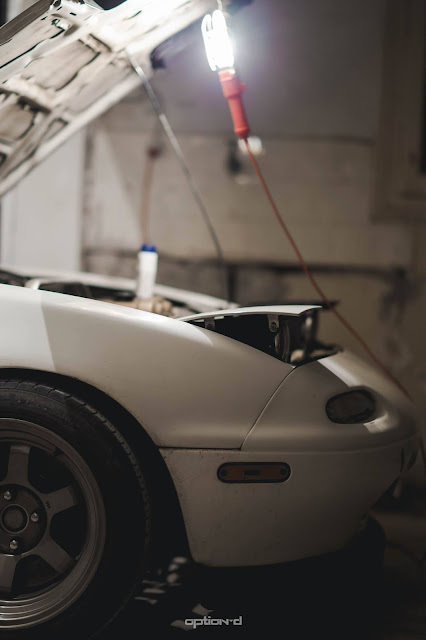 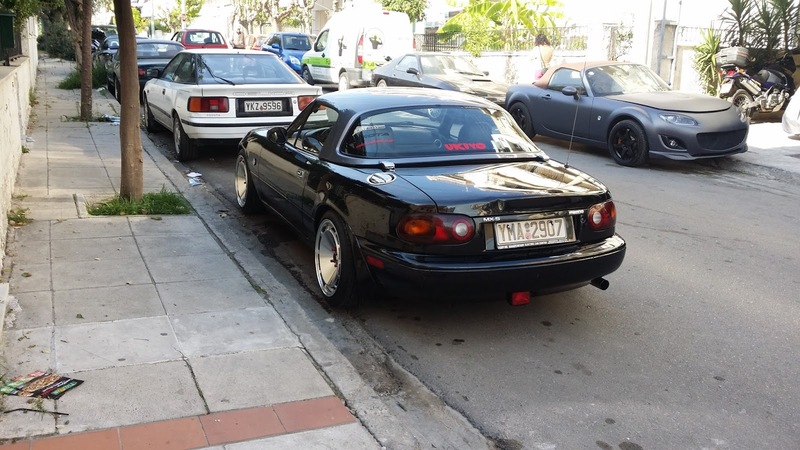 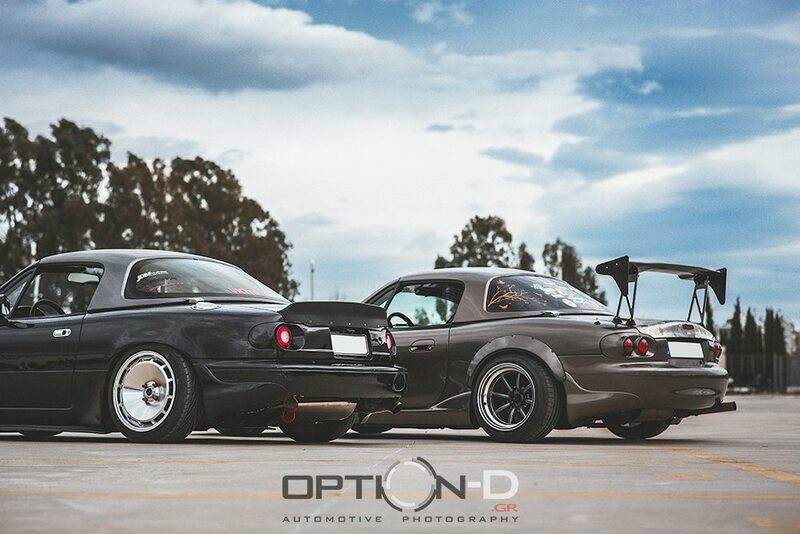 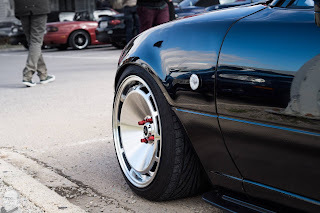 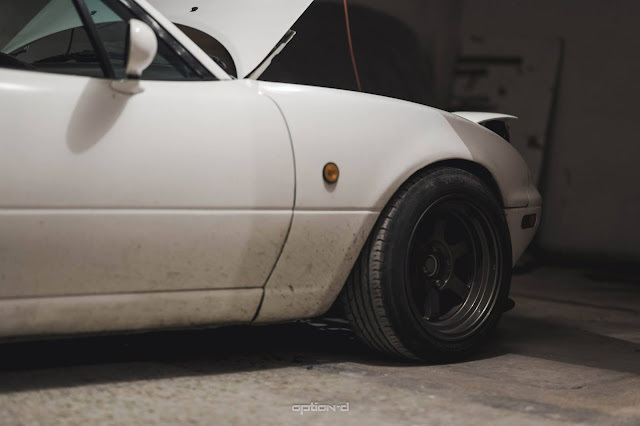 JDMbits: The JDMbits BLACK NA Miata! 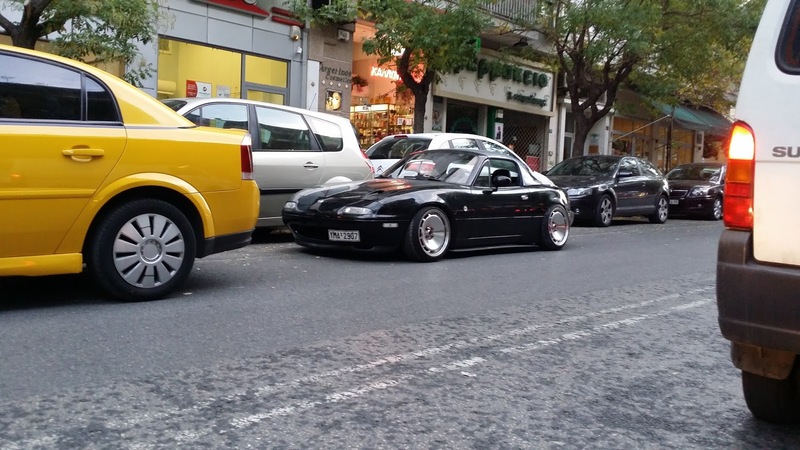 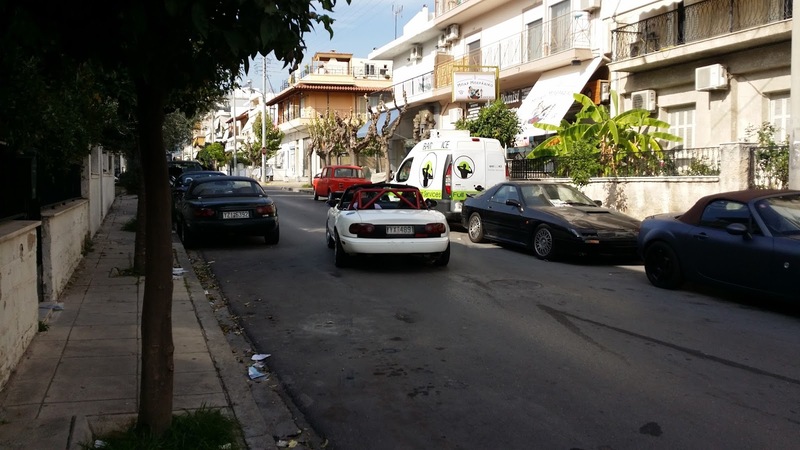 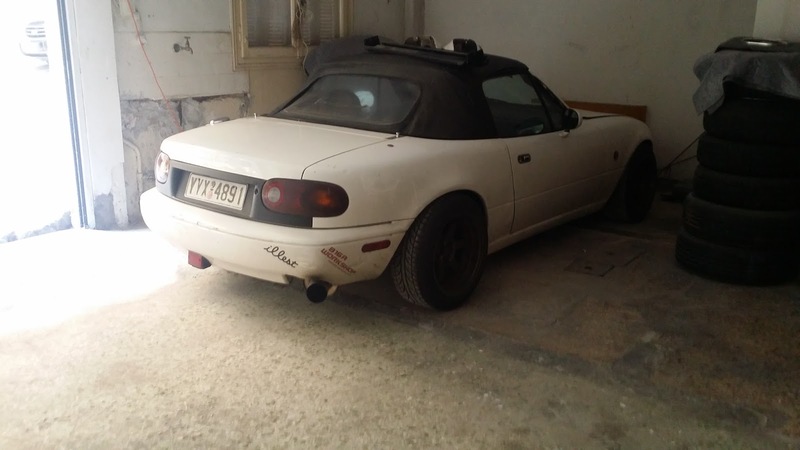 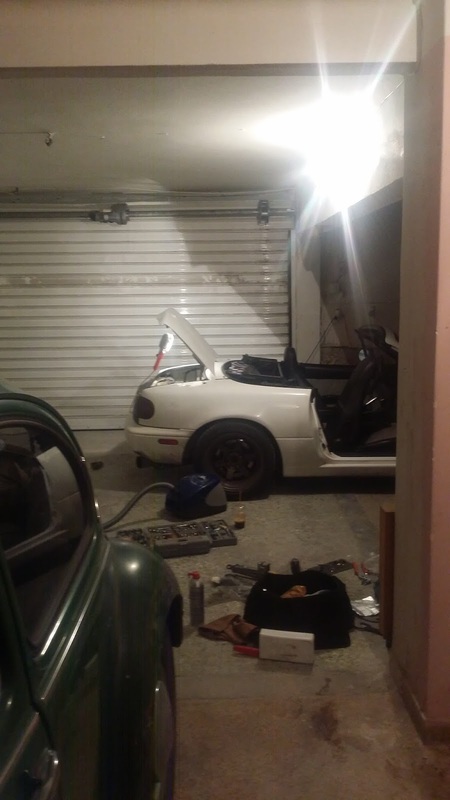 Suddenly, a third 4th Miata popped up. 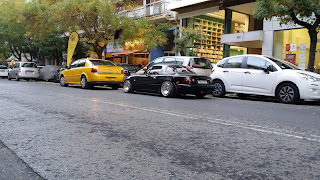 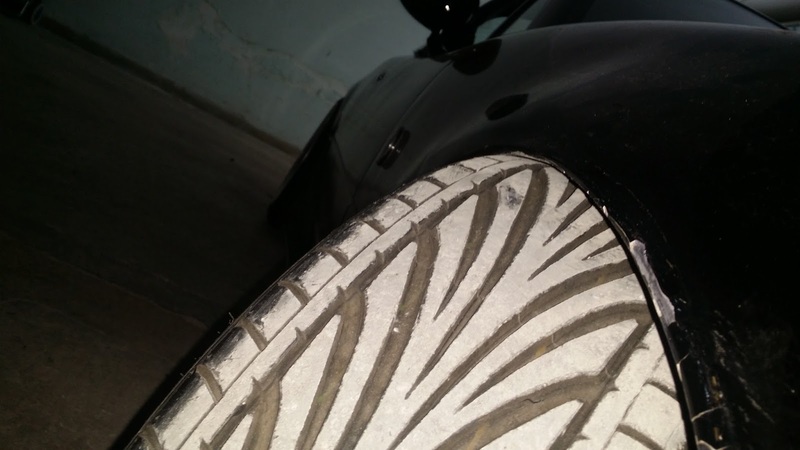 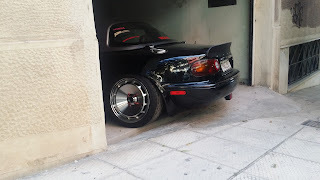 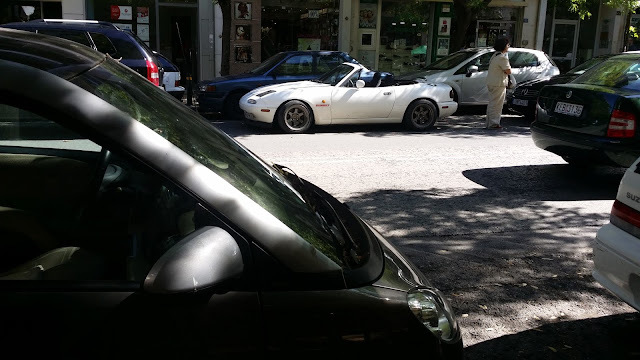 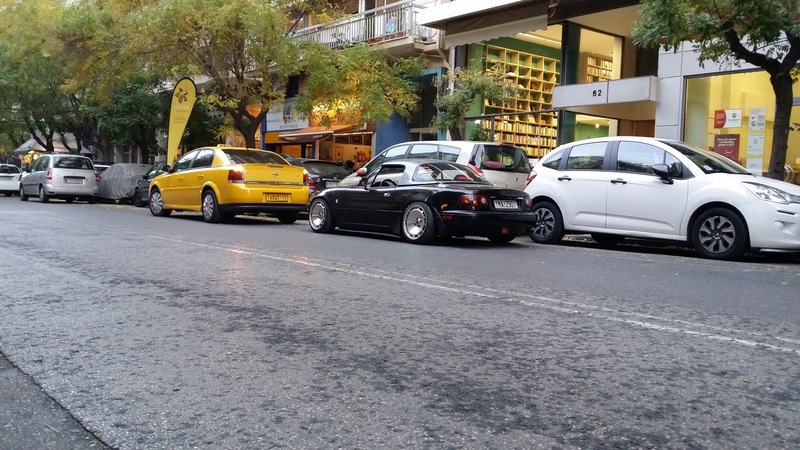 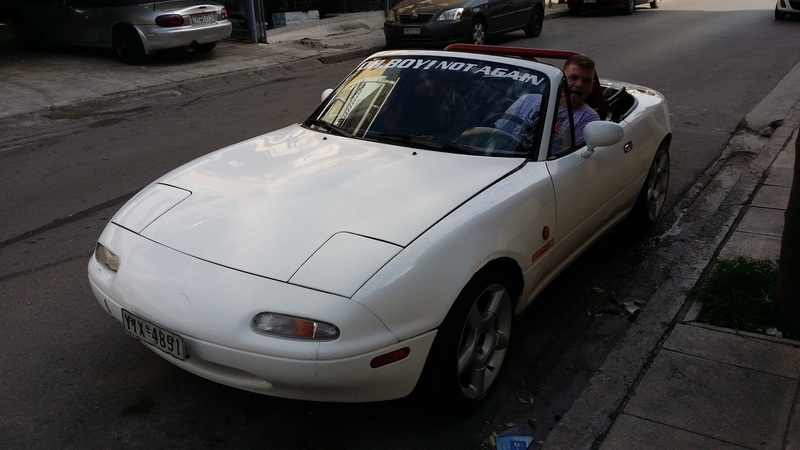 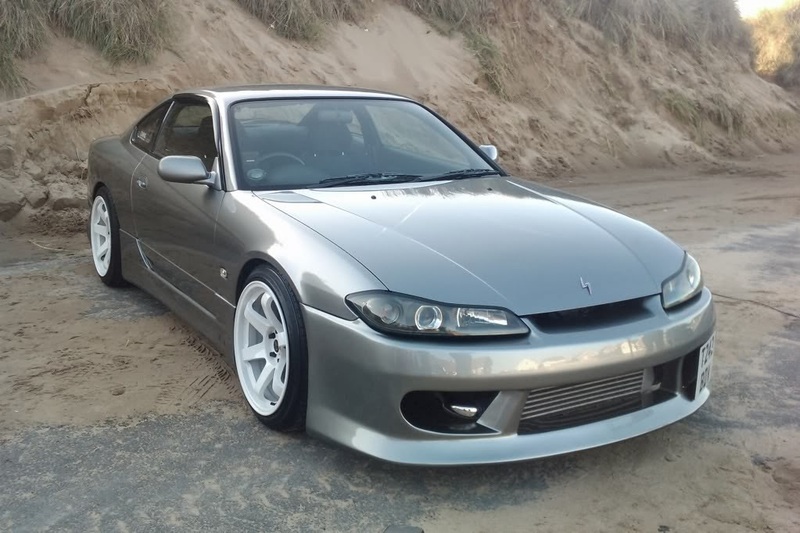 A white '92 Black '97 NA, with some good and some bad points. 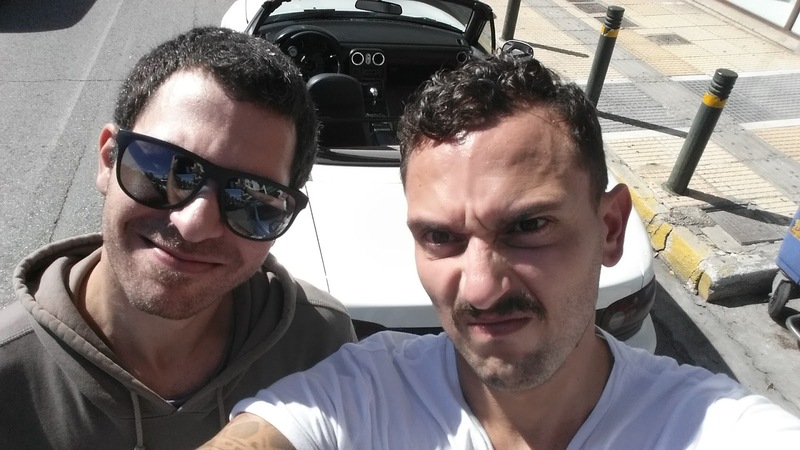 Most great pics are by Manos Option-D Fergadis. 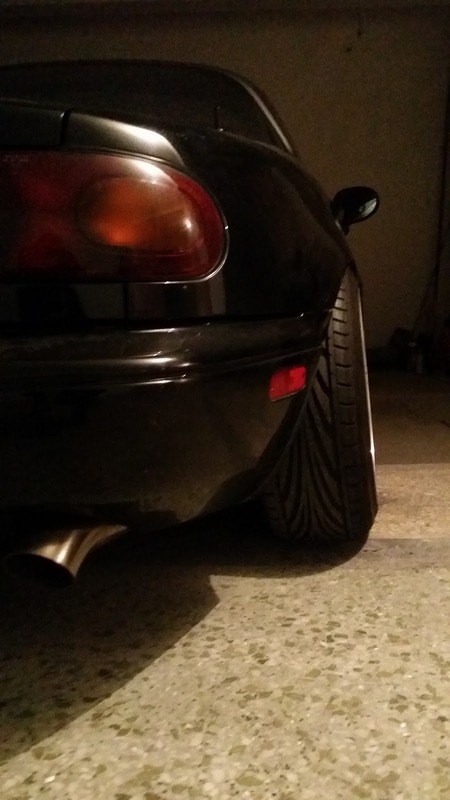 All crap pics are mine. 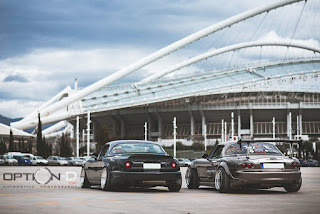 Easy to spot which are which. 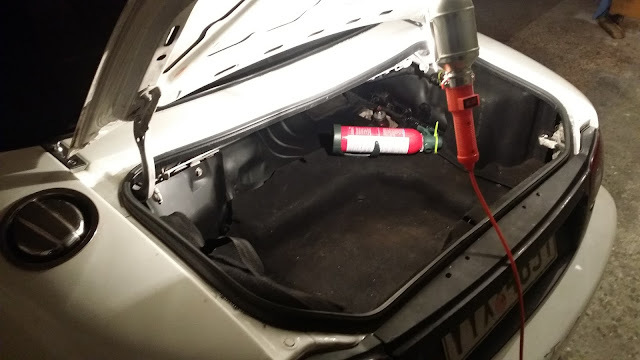 I heard noises from the back and realized everything was loose back there. The jack and some other metal parts were thrown in there hitting around. 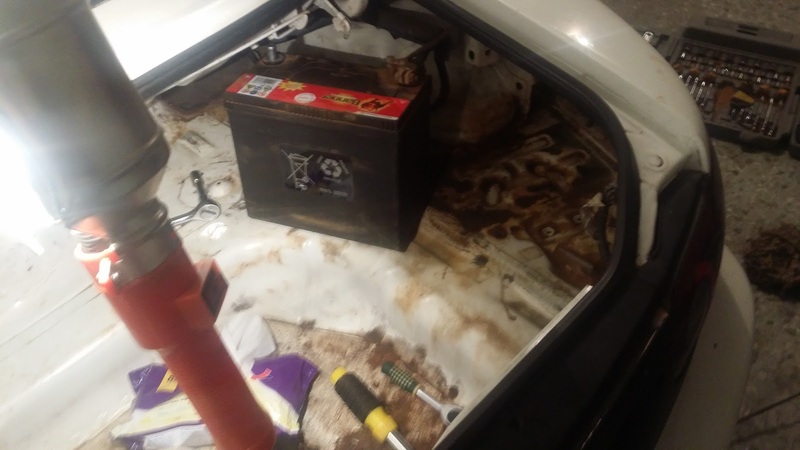 The battery fluids (from some old battery) were all over the place causing oxidization. 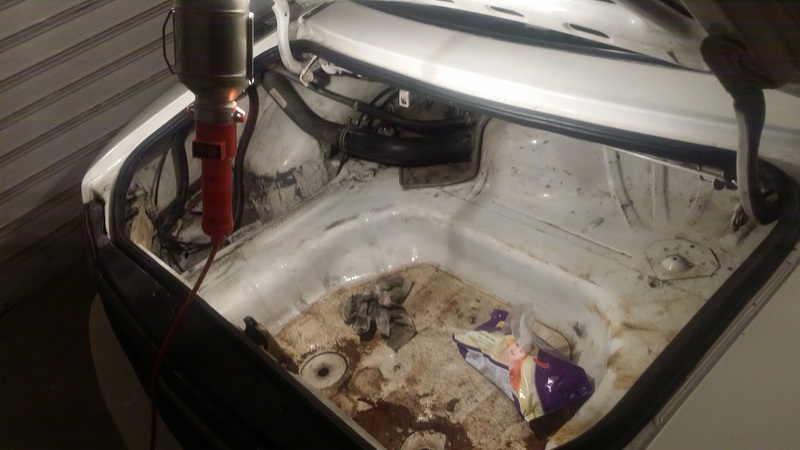 Ending up with what appears to be one tide boot. 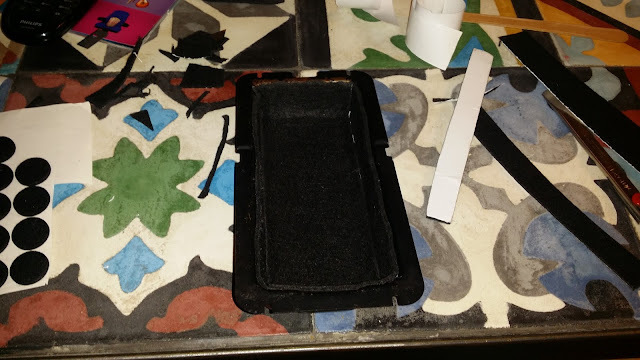 Let it soak on chlorine for a day, then clean it with a brush. and also clean and painted the top of it with bumper spray. 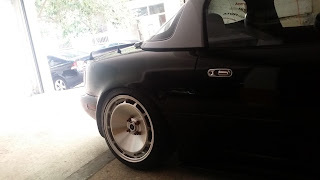 as I used the suspension and wheels to sell the white one. that I bought for the Green NA few years ago! 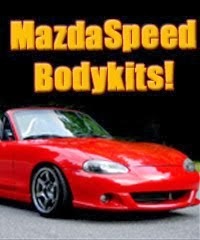 I had to get it back as its the best kit I ve tried. ROTA D154 16x8 ET20 shiny wheels I bought for the Sporty. 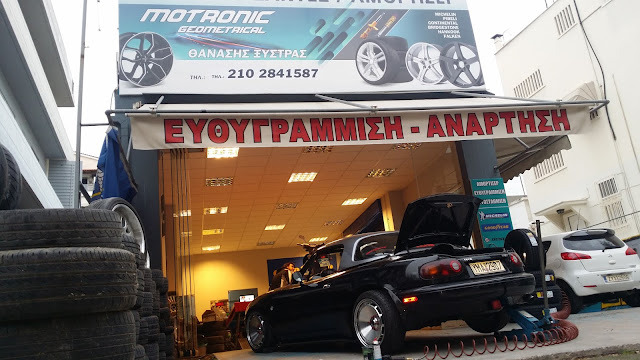 and most importantly it needs a good service. 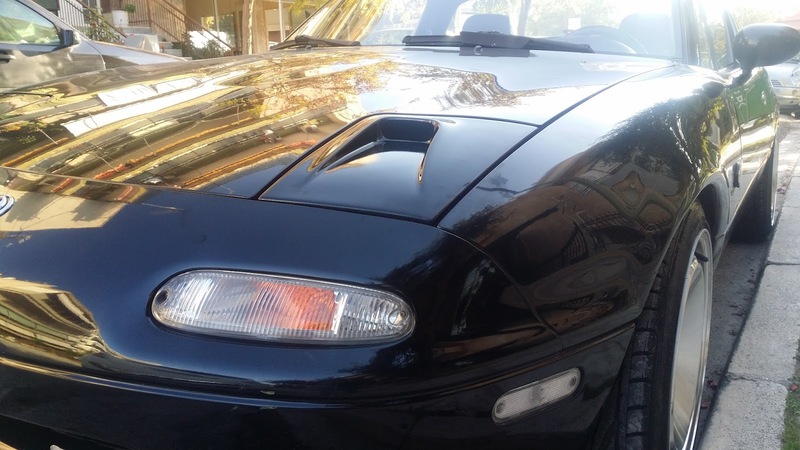 and as you may have noticed, the Zoom Style aluminum fuel door. 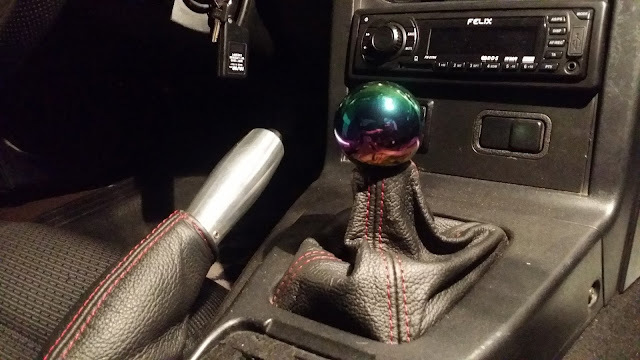 as well tested some ball gear knobs I will not keep. 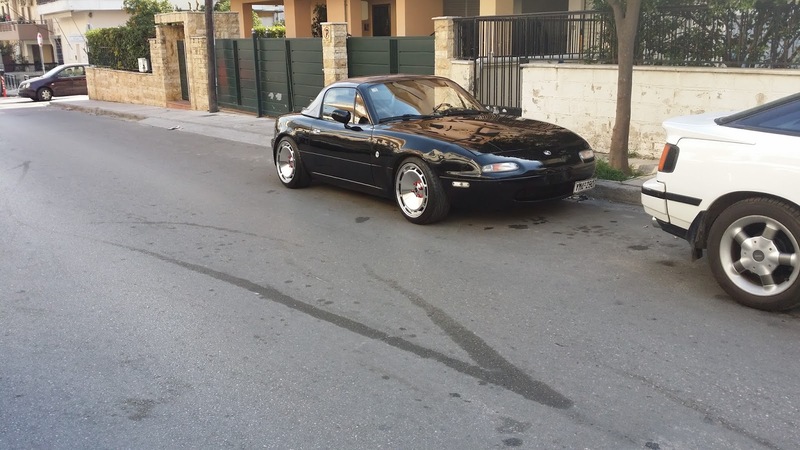 Ι didnt want, but I had to. 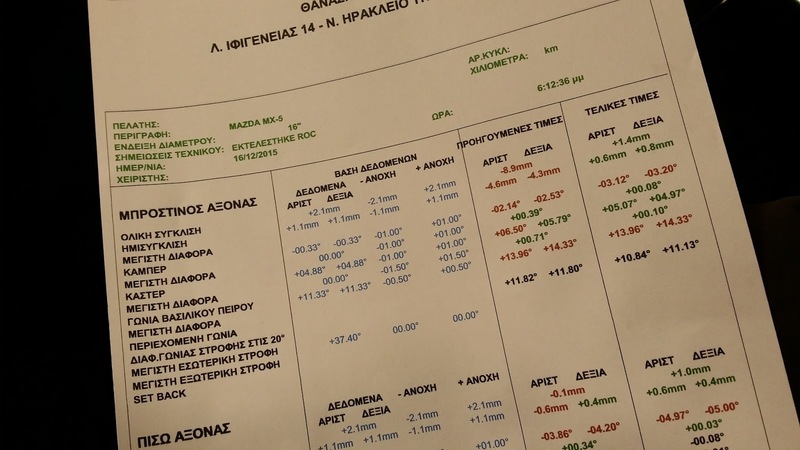 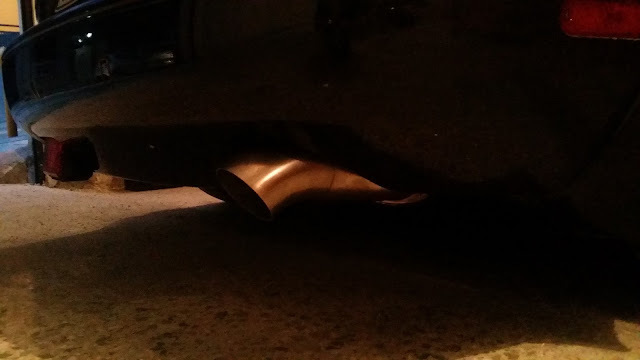 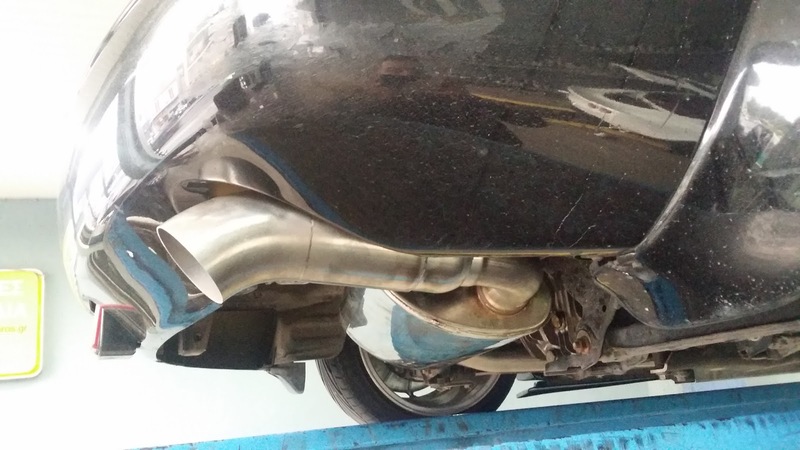 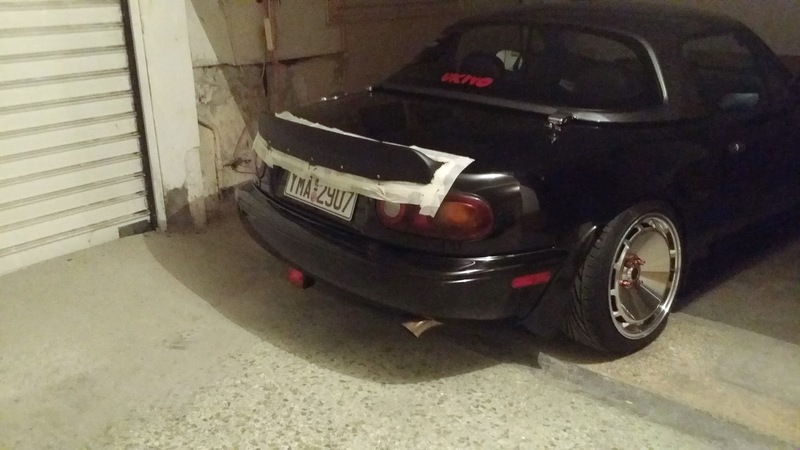 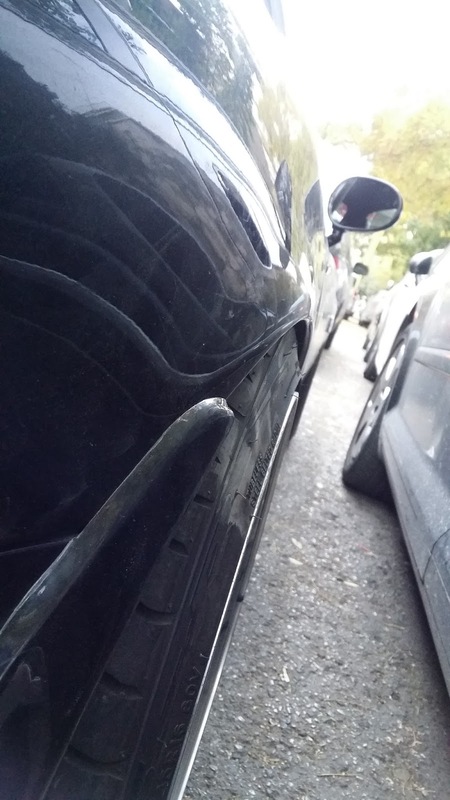 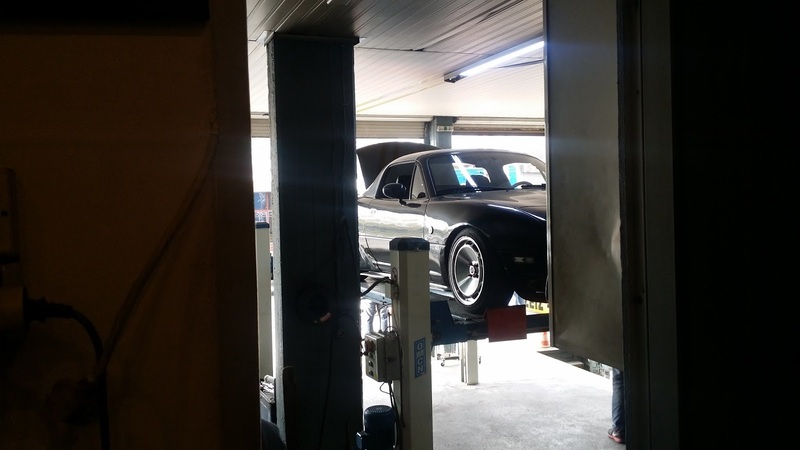 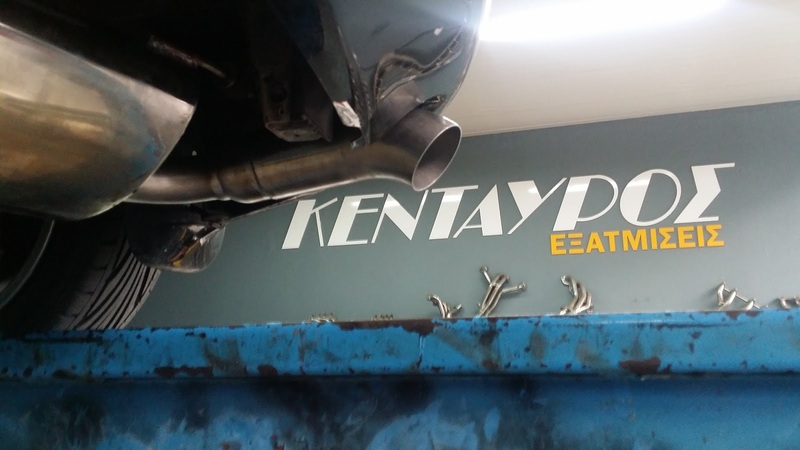 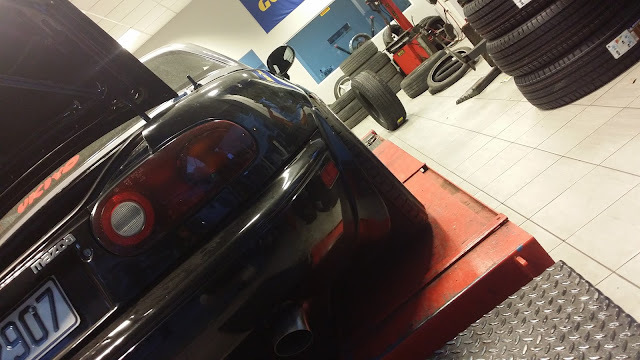 I visited Kentavros , to fix the exhaust system. H created a magnificent mendrel bend one-piece cat back system. 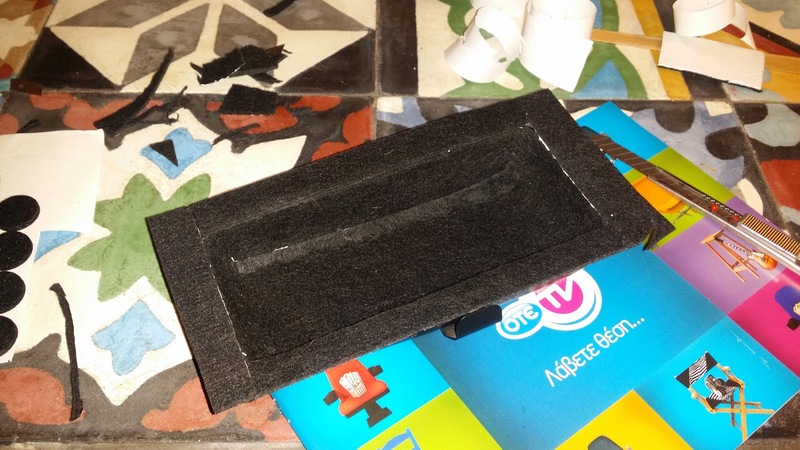 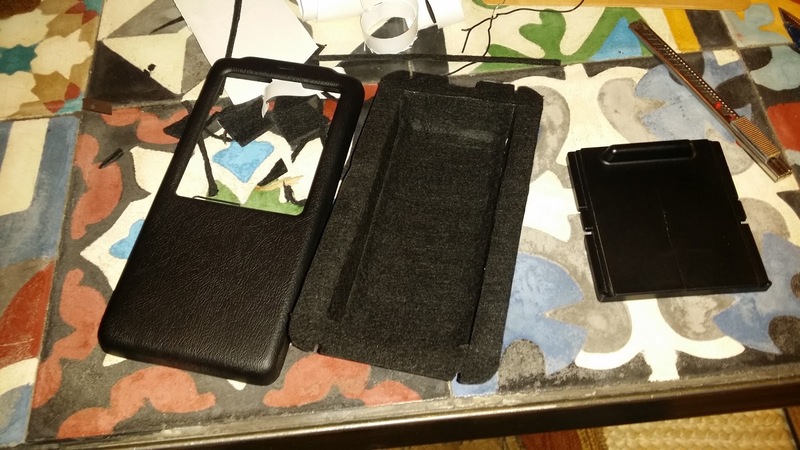 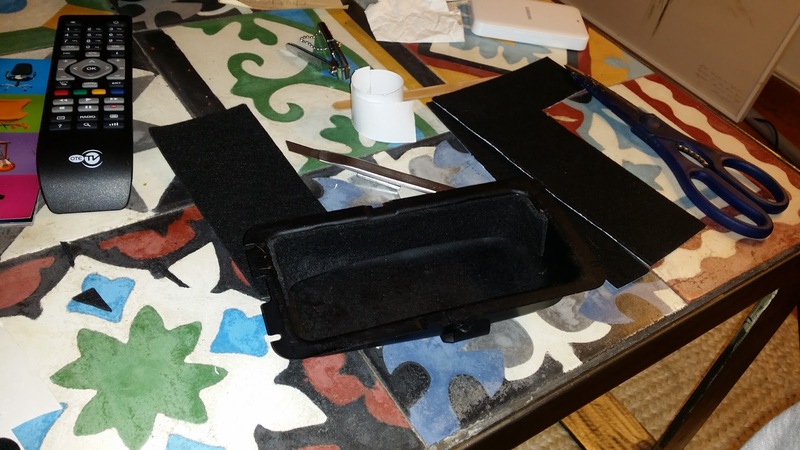 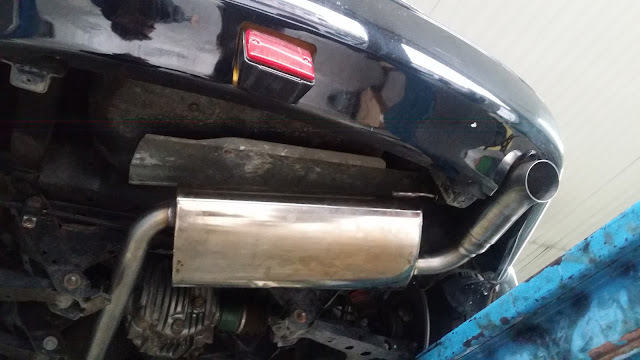 One custom exhaust box, no middle box. 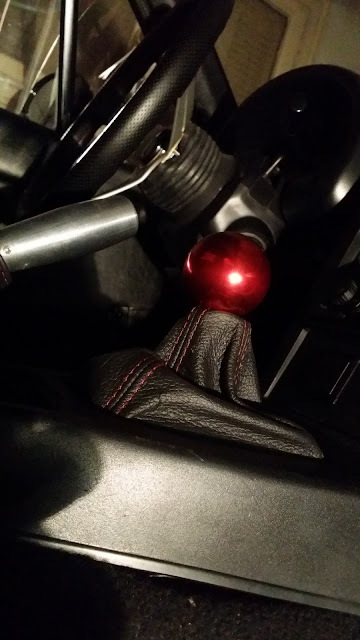 Next step, visited Motronic Geometrical.